In 1997, we protected the 6,857-acre Cloverdale Coastal Ranches near Pescadero, CA. With this victory for local conservation, we protected miles of important stream habitat, hundreds of acres of redwood forest, prime agricultural soils and rare coastal grassland habitat. With this acquisition, we also took responsibility for a deteriorating barn located on a portion of the ranch now called the Root Down Farm. The barn was built sometime in the late 1870s and was used primarily to store hay to feed cattle during our dry summers. But neglect had left the barn in a state of disrepair, and to function in a way that supported local agriculture, it needed to be rebuilt. After years of planning, in the spring of 2016 we began to rebuild this broken barn. Which is where the first chapter in this stewardship story began. 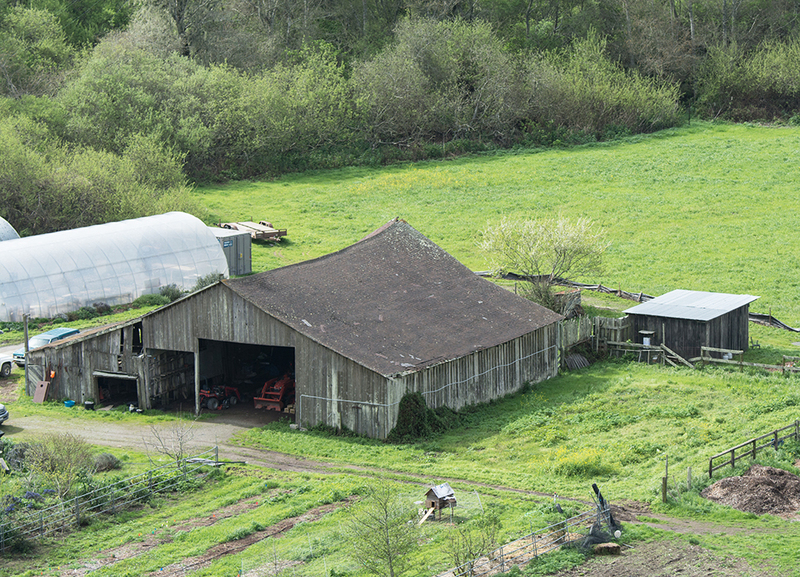 Here in chapter two, we tell the story of what it takes to sustainably build a barn meant to last for 300 years. Rebuilding this barn started with sourcing new materials for the barn’s restoration. 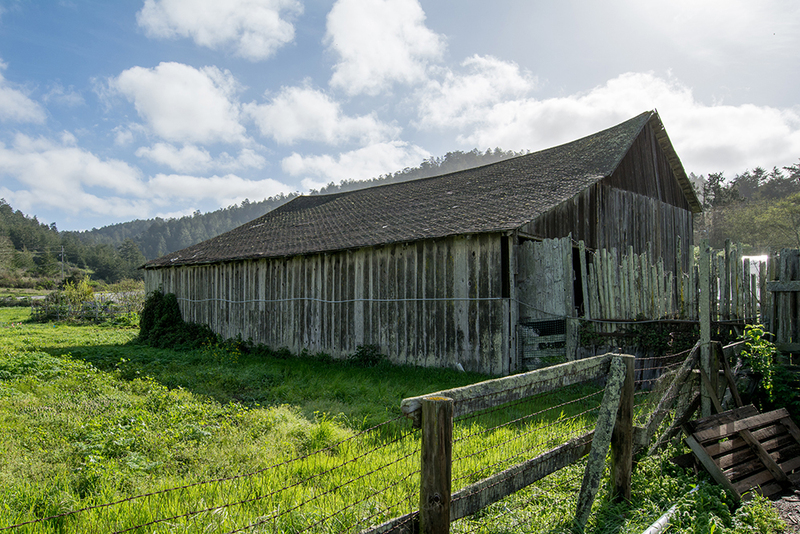 Because of it’s natural ability to resist rot, redwood is the ideal material to use when building a barn. With the help of local foresters, we were able to sustainably harvest and mill the timber needed for this project from our San Vicente Redwoods property. The remaining materials for the new barn will come from the existing structure. 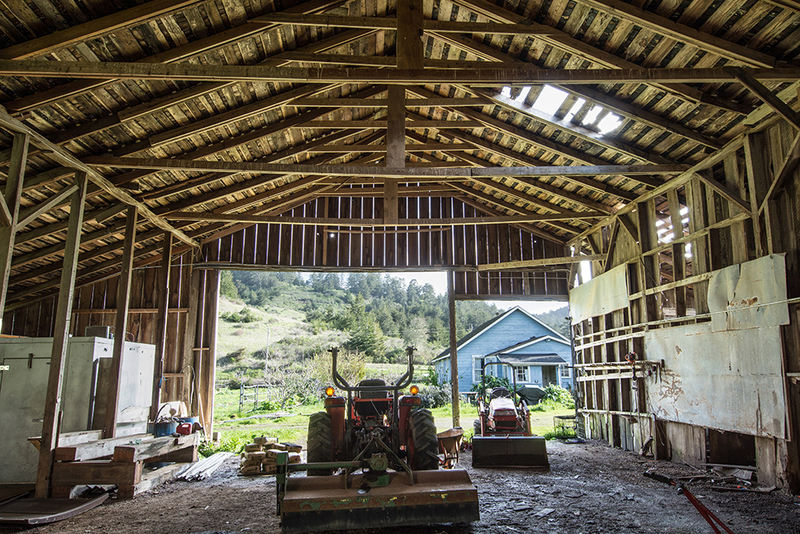 Karl Bareis from Santa Cruz Timberframes is the general contractor for the barn’s reconstruction. 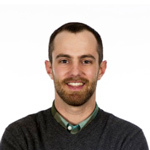 He has a long history of building barns on the coast and is committed to the principles of sustainable building. Under his supervision we were able to salvage most of the old wood from the dilapidated barn. 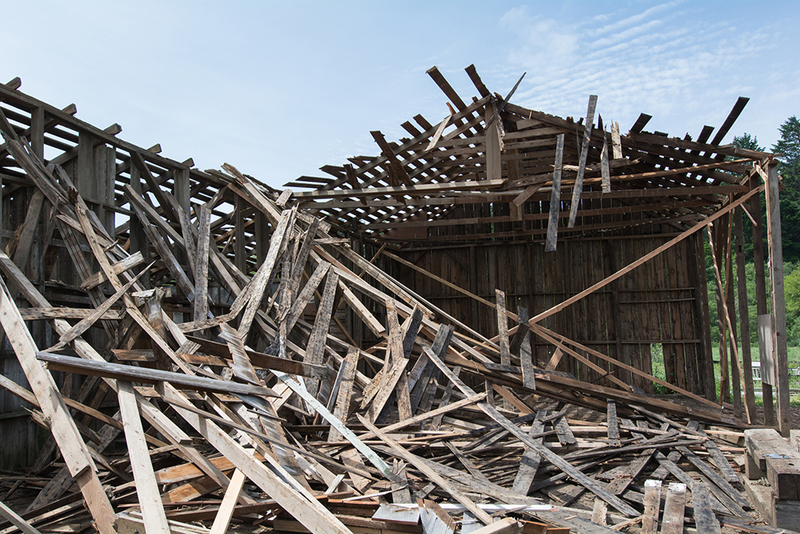 As he says in the video above, “wood that was originally cut as early as the 1860s will go back into this barn”. The materials for this new barn were all grown here, made here and built here. 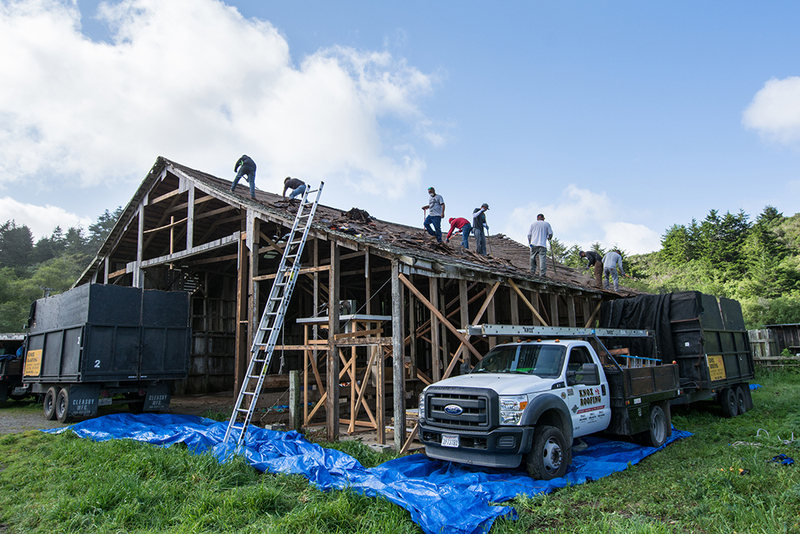 In the coming weeks, teams of volunteers from the local community will come together to help raise this barn. 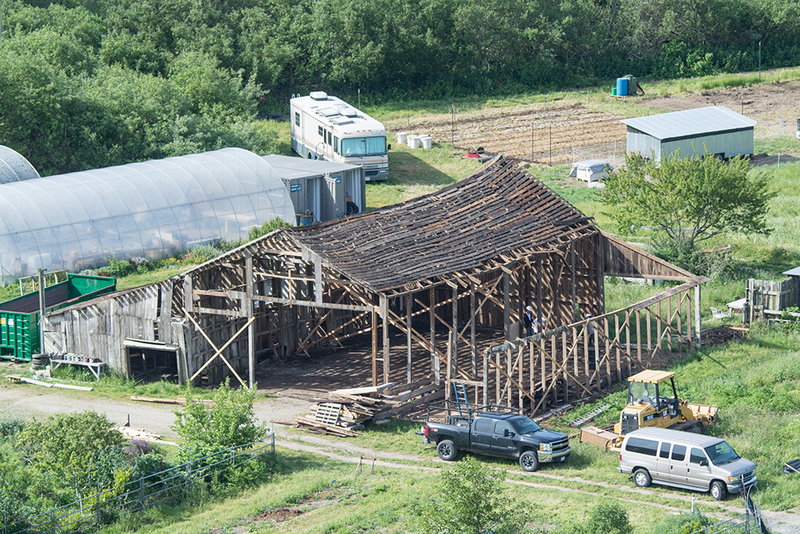 We’re excited to see it come to life and for decades of coastside farmers to have a working barn to support their businesses and way of life. Stay tuned for Chapter 3: Built to Last. Did you see Chapter 1? In case you missed it, watch it here.